1. I peaced out on the blog last week - took a trip to Cali for work and it was lovely. I drank all the Zinfandel in Sonoma. And had some productive meetings. 2. 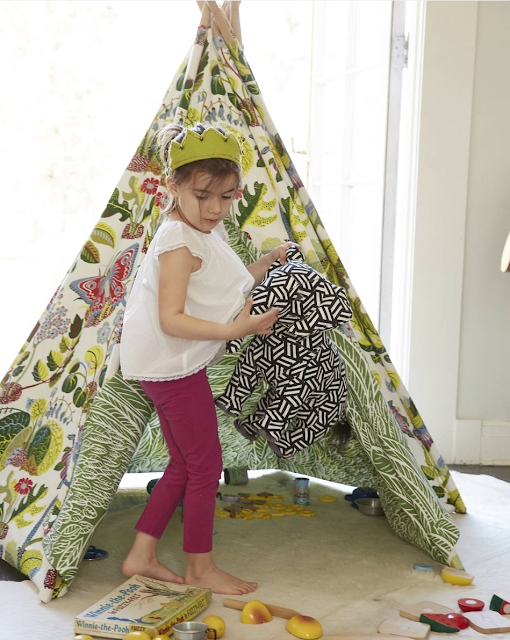 You are generally winning if your kids get to play in a Schumacher-fabric-laden teepee. 3. I'm on a plum/burgundy clothing kick, so I want that little girl's leggings. 4. The bedroom on the bottom is incredibly legit with its color combination, brass bed, casual canopy, and stained/painted dark ceiling. The simple pillow arrangement is also catching my eye. 5. What I liked most here is the color story. Plum and citrine at the top and then plum and royal blue (peeking out from the blanket) on the bottom. 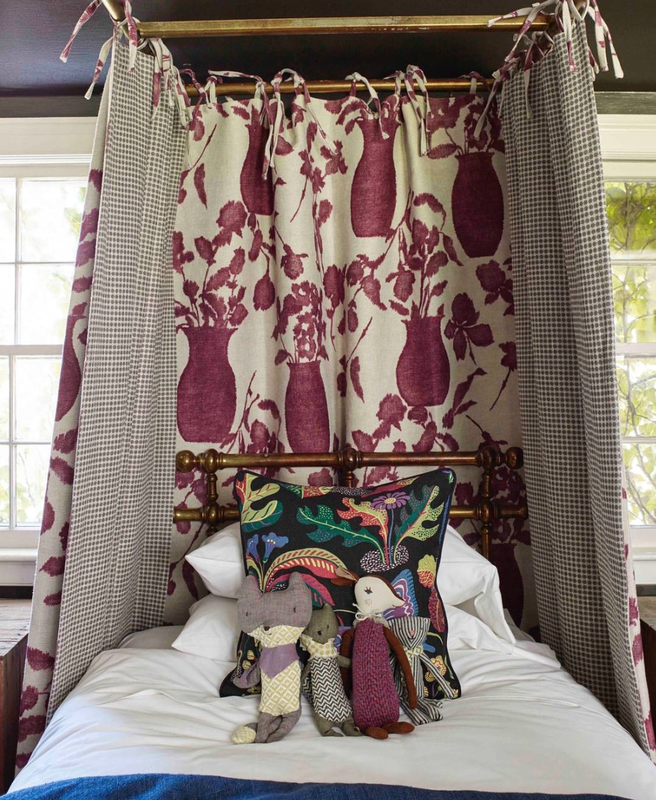 I have seriously been loving plum/orchid for years and images like these keep feeding my addiction.